I first visited Boise in 1984 when I was a young architecture student, interested to see where my parents had moved after my dad’s retirement from the military. After leaving college, my wife and I (and our two-year old son) decided to relocate from Minneapolis to Boise. The architectural job market was hot, there was a lot of construction (especially around the recently opened Boise Towne Square Mall), and I was able to land a drafting job fairly quickly. I began to hear stories about the strangely deserted downtown, about its failed urban renewal history and its lost Chinatown. But what interested me most was the idea that Boise’s leadership had been pursuing the construction of a massive downtown shopping mall. Further, it seemed the only thing they managed to construct was the connector from the interstate to the central business district, and an oddly shaped single-story convention center with a curiously vacant adjacent plaza. In the late 1980’s, enthusiasm for the Boise Towne Square Mall was infectious — even local folk musician J.J. Dion was commissioned by a radio station to write and record songs about the soon-to-open mall. The reasons offered for the failed downtown mall fell usually into two camps. Either the city fathers had become so enraptured with securing federal Housing and Urban Development funding that they failed to forge supportive partnerships with the private developers who were to build the mall — or the idea that the mall, itself, was crushed under its own over-inflated architectural program. Davis also referenced what he felt was a questionable assumption on the part of the downtown mallers, that there would likely not be enough electrical power in Boise to adequately service the mechanical needs of such a massive structure. This megastructure, officially named the City Center project, would have required the re-construction of nine city blocks in the central business district — bounded by 6th Street, Bannock Street, 9th Street, and Grove Street. Three block lengths of Capital Boulevard, Idaho Street, and Main Street would have been vacated and converted to pedestrian promenades — with 8th Street being enclosed in a glass-ceiling covered arcade. Interestingly, the earliest version of what became the Grove Plaza (now at the intersection of the former 8th and Grove Streets) was shown to have been located on the Capital Boulevard promenade fronting what would become (in 1976) the new City Hall complex. As early as 1967, Boise was already proving up its intent to redevelop the downtown area — taking receipt of a $250,000 federal grant to begin the planning and survey work necessary to acquire the eventual $4.3M of federal funds to purchase property and redevelop the central business district. But, as we know, the City Center Project never materialized. For a moment though, let’s compare the project to development that did occur. Arguably, the vacation of the public streets would have been a difficult public space to develop and manage, there being adequate examples of such pedestrian malls in cities around the country that have failed to catalyze the hoped-for commercial development. 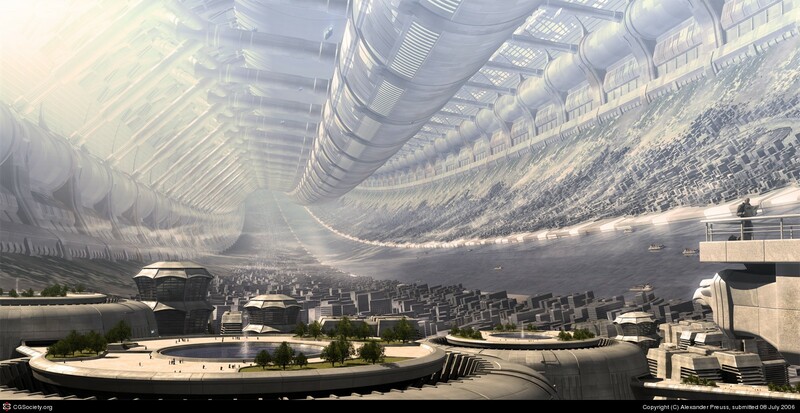 But, was the project a brobdingnagian “megastructure” doomed to plunge the region into perpetual power outages? In the image above one can see that the Boise Towne Square Mall, completed in 1988 just a year before my wife and I moved to Boise, is nearly identical in size to the originally proposed City Center project — actually the Mall contains about 200,000 more square feet of retail space than would have been in the City Center project. Also, the Towne Square Mall (located directly off the connector, built to originally feed regional traffic to the City Center project) is surrounded not with pedestrian promenades, but nearly 2,500,000 square feet of asphalt parking lots and circulation drives. One can’t help but feel that the mechanisms put into place to help facilitate the construction of the City Center project resulted, instead, in the construction of a far more devilish development — the Boise Towne Square Mall. Traffic to the Mall (few Boiseans refer to it by its colonial-esque nom de plume) is fed by the I-184 connector by two off-ramps, and the Milwaukee Avenue intersections, which serve as the the principal surface roads accessing the Mall, are routinely listed as the worst congested intersections in Boise. And, perhaps worse of all, the Mall was constructed on some of the most productive farm land in the county — located just 3-1/2 miles west of the downtown. 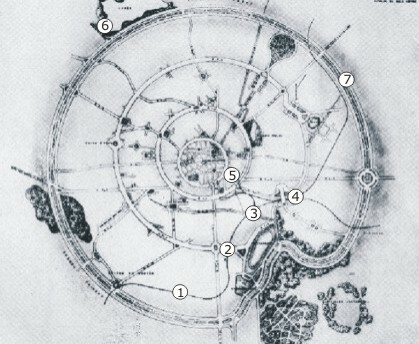 The image above was taken in 1964, just a year after the Atkinson Associates planning process (with its City Center illustrative plan) was launched. Even though two of the farmers sued the original developer to keep the Mall from being constructed, by 1976 they dropped their suit and the moneyed interests began to coalesce. 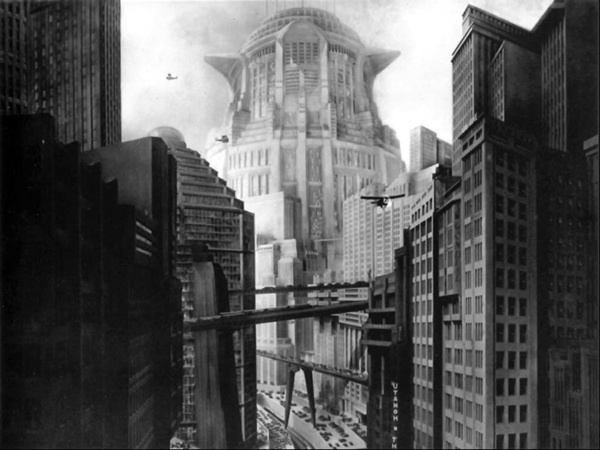 Though it seems Davis’ dire warnings of megastructured-doom never materialized, the economic and social pressures to build something proved up another of the observations made in his article. Perhaps, all the hoopla surrounding the downtown City Center project was simply a diversionary tactic, just so much hot-air; when the real intent had been to build a suburban mall out by the freeway all along. Most recently, in a town just 3-1/2 miles west of the Boise Towne Square Mall a newly minted “Lifestyle Center” has been christened. In 1990, when the shopping fervor over the new Mall was at its peak, the sleepy agricultural community of Meridian (located just three miles to the west of the Mall site) had a total population of just 9,600 folks. The manifest destiny of westward migration (writ small) has burgeoned this community’s 2016 population to nearly 88,000 people. And with that new population, came a desire to develop a new shopping and entertainment opportunity. While one may vent their liver over the loss of farmland, the growing expanse of Sprawl, and the proliferation of means to pilfer the pubic of their hard-earned pay – one thing becomes abundantly clear. The people who visit these places strongly desire the sensorial delights of urban places. Like the Mall though, one has to drive to this location. I suppose we’ve all read words very similar to the above statement, in a myriad of comprehensive plans and general use plans from communities throughout the united States. 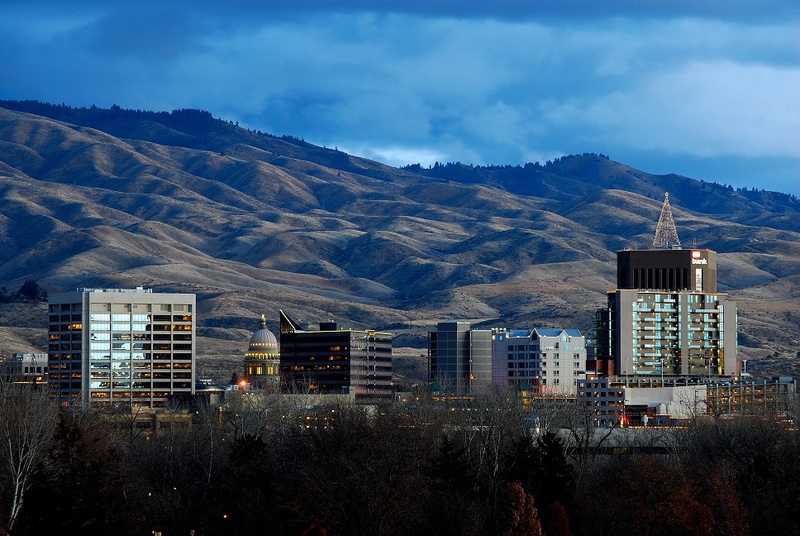 And Boise, Idaho is not unique in its inability to achieve the lofty goals of a true “community within a community”. Today, in places like Seattle, Fort Worth, and Arlington, such a vision is most often couched as a desire for urban villages. Let’s take a moment to look at Boise’s 50-year history attempting to make such urban places, and perhaps there are lessons to learn from this singular case study. In 1963 Boise, Idaho launched an ambitious effort to craft a community-wide comprehensive plan, and (for the first time) adopt a zoning ordinance that would govern all land uses within the city’s jurisdiction. Within three years the planning effort was complete, and the new zoning ordinance was adopted. There were three volumes to the plan documents: 1) a comprehensive plan which included a city-wide future land use map and a detailed map showing the complete reconstruction of the city’s downtown business district, 2) a volume containing all the planning research and administration documents, and 3) the new land use-based zoning and subdivision ordinances. 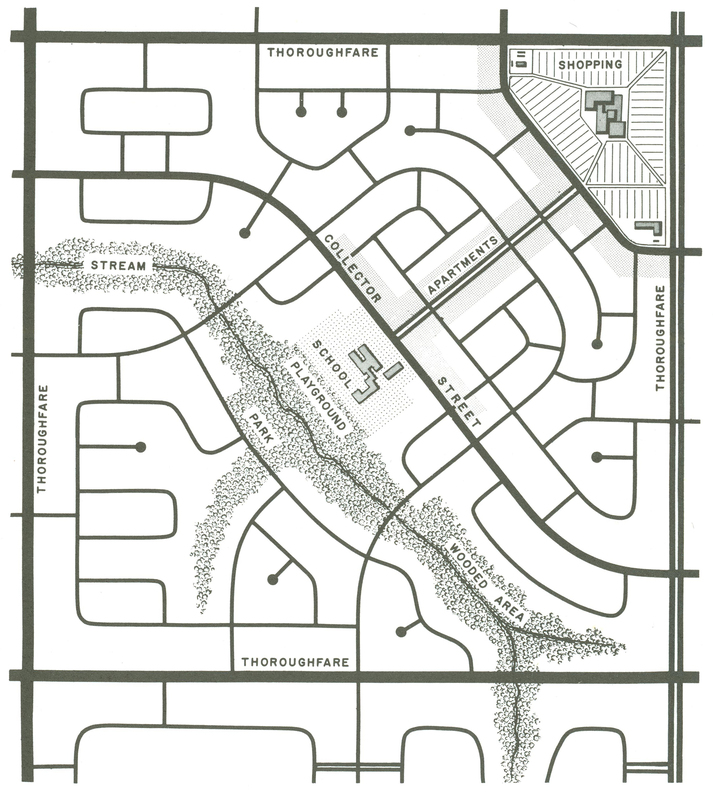 Although these plans were quite forward-thinking compared to the state of the planning profession in Idaho during the early 1960’s (the State itself would not obligate cities and counties to craft similar planning documents for at least another decade), the plans for the community’s new neighborhoods were based on principals that had been first espoused over three decades earlier — based upon sociological precepts which were already beginning to receive considerable criticism within the planning profession. The above image was offered as a typical new neighborhood for the city. The plan indicates an area roughly 640 acres in size, bounded by thoroughfares representing the major section line roads that the plan called to be widened and extended. A large commercial complex would be located at an intersection of these thoroughfares, while a phalanx of higher density apartment buildings would buffer the commercial area from the remainder of the lower-density single-family detached housing development. This wall of apartments would then turn inward, forming a corridor of higher density-housing leading towards the center of the new neighborhood. At this center we see two elements; first, the apartment corridor terminating at a new public school and second, a significant amount of new and/or preserved Open Space with both trees and a water course cutting diagonal across the entire neighborhood. This diagram compares favorably to the Neighborhood Unit diagram created by Clarence Perry, in his 1929 Regional Plan of New York and Its Environs (see below). 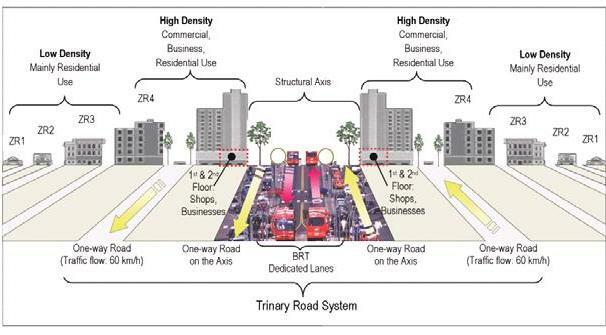 Comparing the two diagrams, the similarity is striking — the perimeter retail, the centralized school, the bordering higher capacity roadways, even the internal collector roads into which the local residential streets feed. 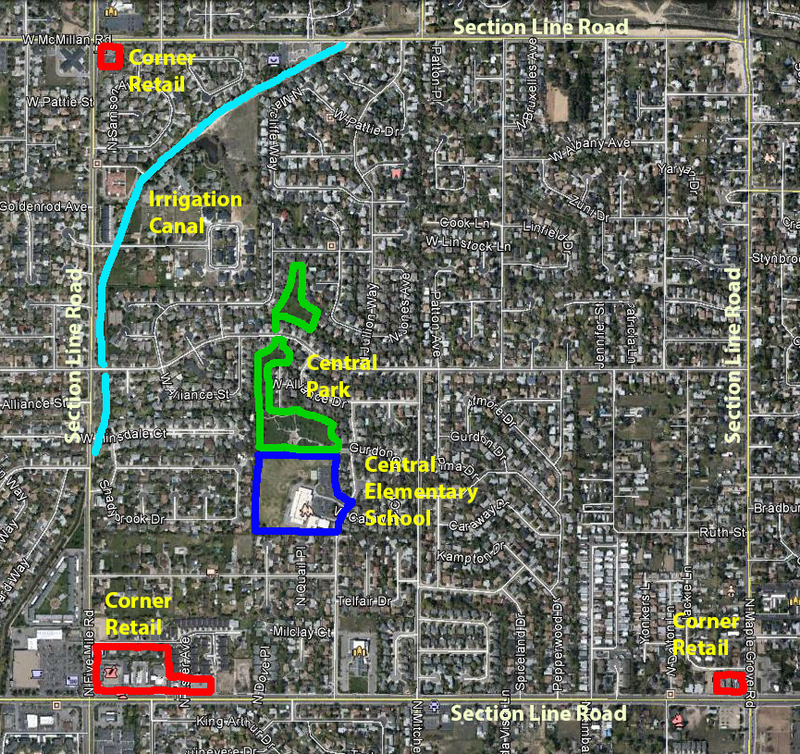 While both the Perry and Boise diagrams indicate a centrally located school, the former indicates a number of neighborhood-oriented uses to accompany that school, including churches and a public facility. And, while the latter indicates a similar amount of green space, it is essentially rural in character with only one delineated “park” — the rest of the open space would be “wooded”, replete with a “stream” (which, in Boise’s arid climate, could only be either an irrigation canal that would have serviced the former farmland, from which the new neighborhood would be have been carved, or a similar farmland drainage lateral). All of the open space illustrated in the Perry diagram represents improved parks, bounded by roadways that would provide access for residents. 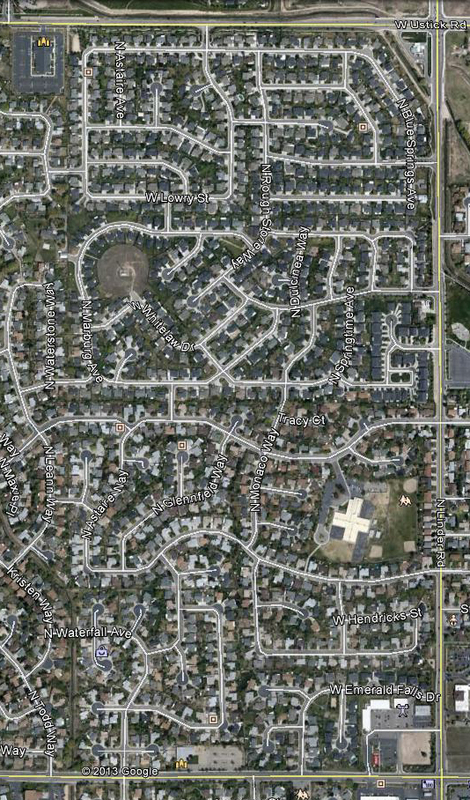 Further, all of the homes in the Perry diagram would be located within a block of one of these parks, while in the Boise diagram nearly half of the residents would live more than a 1/4-mile from any form of open space (and access would be far more restricted, being provided only at the small number of intersecting local streets). How are these two ideas really different? What’s most striking though is the difference in scale. The Perry diagram indicates an internal radius of 1/4-mile, and while the Boise plan does not provide any type of scaling map element, its implied internal radius is a full 1/2-mile (since the section line roads, indicated by the bounding thoroughfares, are one mile apart). So, while the majority of residents in the Perry diagram would live within a quarter-mile of retail shops (easily reachable with a five minute walk), the majority of residents in a new Boise neighborhood would live over a half mile from the proposed commercial land use. 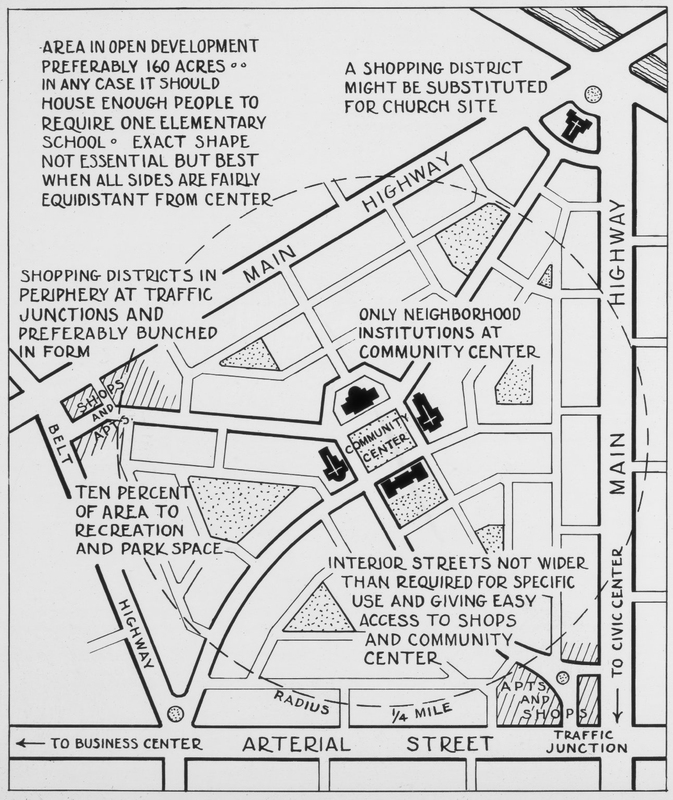 It’s easy to see that the framers of the Boise plan did not intend their residents to walk to retail but to drive, graphically evinced by the large areas of dedicated parking surrounding the new shopping area. This is not to say that the Perry diagram represented the most advanced thoughts on how to craft neighborhoods. 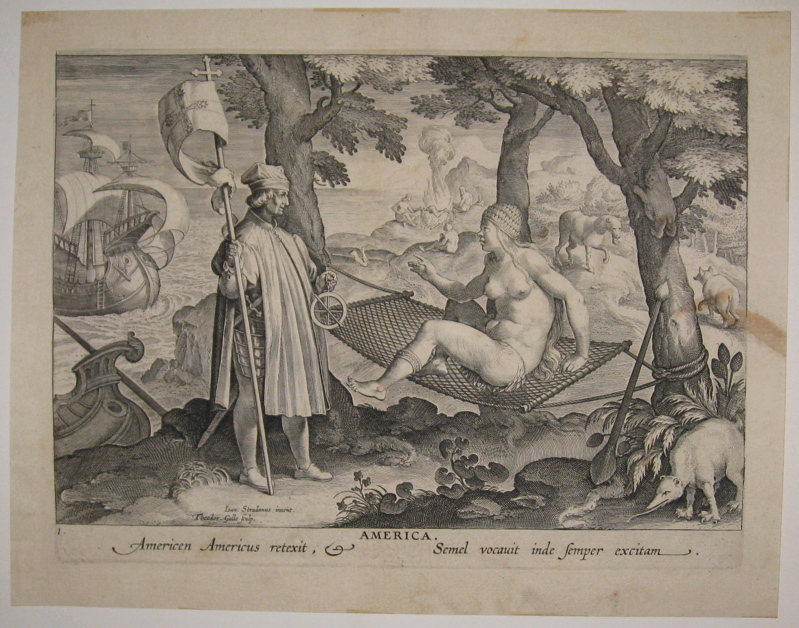 In fact, the proponents of the diagram were already under siege from a number of quarters. The chorus of Perry critics had been growing so loud that by 1960 (three years before the Boise planning efforts were launched), the American Society of Planning Officials issued a detailed report discussing the drawbacks of Perry’s Neighborhood Unit and offering some corrective measures. Chief among those critics was Reginald Isaacs who, as early as 1948, had been publicly stating that Perry’s concept of the neighborhood had become a planning tool used to institute racial, ethnic, religious and economic segregation. Others felt that the Neighborhood Unit was itself a straightforward attempt to modularize suburban development, leading to a generally monotonous character. What did these differences mean to Boise? All in all, the new neighborhoods that emerged after the 1963 plan was adopted were significantly compliant with the vision outlined in the 1963 diagram. 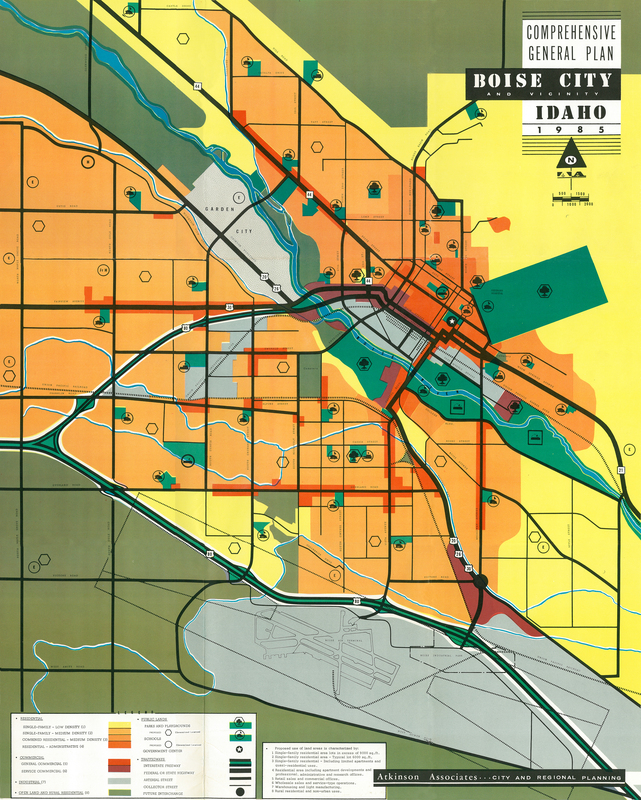 While the plan had purported that the Boise population would reach an incredible 110,000 residents by 1980, it had (in fact) attained a population of just over 102,000 — which was a fairly accurate prognostication, given that the 1960 census (the last census conducted before the planning process was initiated) listed the city’s population at just over 34,000 residents. 3) Corner Grocery or Convenience Stores (located within residential neighborhoods). This last category is most dependent on foot traffic, and in Perry’s diagram the 1/4-mile service radius would place the majority of retail shops within easy walking distance of a large majority of the neighborhood’s residents. Perhaps the area covered by the Boise neighborhood diagram made delineating the presence of these smaller, walk-in, “ma and pa” commercial activities troublesome, but when their diagrammatic absence is paired with the proscriptive language of the land use zoning ordinance written to support the General Plan some light is shed. None of the newly called for residential land use zone categories (R-1A, R-1B, R-1C, R-2, or R-3) permitted any kind of commercial activity beyond some limited home occupations, and only a severely restricted set of personal service businesses could be permitted via a conditional use permit — no food or grocery services were to be allowed under any circumstances. The lack of pedestrian-accessible retail uses, as well as the increase in the scale of the neighborhood (from 160 acres to 640 acres), and the relatively restricted open-space access, all contributed to the creation of an automobile-dependent neighborhood environment. And while much advertising space was given over during the build-out of these new neighborhoods to their rural-like freedoms and conveniences (access to wooded areas, model homes with “farm kitchens”, sometimes even near-by working farms, etc. ), only but the first few home buyers were able to enjoy these rural-like settings. As the larger former farm-lots were further subdivided and zoned for residential uses, these emerging neighborhoods lost their rural character. And, due to the inadequate accommodation for neighborhood/pedestrian retail activities, they also grew into sterile residence-only environments. Perhaps the two most significant opportunities for refinement, for any community contemplating the development of “urban villages” (communities within a community), is to ensure the scale of each neighborhood is appropriate, and that there are amply opportunities and regulatory encouragements to develop and maintain small scale neighborhood commercial and personal service uses. As professional planners we must not conflate the political artifacts of neighborhood association boundaries (often created by residents’ opposition to some proposed new development, or social justice issue) with a true neighborhood. Such places are often no larger than 125 acres; an area that one can walk across (from edge to edge) in no more than 10-minutes, and which has a distinct architectural and social character. Lastly, the advent of mixed-use zoning can help resurrect the small neighborhood-oriented commercial uses that have been excised from our communities through the instrument of conventional single-use land use codes. How would cities look if urban planners, not politicians, were in charge? The long history of the city of Curitiba, in southern Brazil, demonstrates that it is perhaps the most heavily planned city in the western hemisphere. The layout of the original town, like many such colonial developments in the Americas, had been heavily influenced by the Laws of the Indies — a set of precepts from the 16th Century that dictated much of the governance of Spanish and Portuguese land holdings; which included rules for town planning. And, though Brazil gained independence from Portugal in the 1820’s it’s various cities were still governed by many of the land use laws inherited from its former European ruler. Even 250 years after its founding (and 120 years after Brazilian independence), Curitiba’s first true Master Plan was still developed, not by locals but, by the French architect and sociologist Alfred Agache in 1943 — a Beaux-Arts trained architect who was a leading theorist, teacher and practitioner of the Société Française des Urbanistes (SFU). A main avenue leading from the Central Railway station to the City Center. A peripheral greenbelt Park Avenue that would connect all the city parks. Agache’s plan assumed a maximum population for Curitiba of no more than 900,000 people, all residing in buildings constructed to be between six to eight stories in height. Understandably, this would have resulted in a fairly compact city. This time around, the plan would be local-grown. Even though the town’s population had only reached 430,000 by 1960 it had already outpaced the land area envisioned in the Agache Plan (essentially by growing less densely). Spurred on by residents’ concerns over the loss of easily accessible green space and the loss of the city’s unique character, in 1964 the mayor of Curitiba (Ivo Arzua) issued a call for proposals for a new plan for the city. This time around, the initial plan was prepared by an energetic group of local professionals led by Jaime Lerner — a 27 year old local who had just graduated from architecture school. The following year, Learner help form the city’s first-ever planning department, the Institute of Urban Planning and Research of Curitiba (abbreviated the IPPUC in Portuguese). Over the next few years the Lerner-led IPPUC refined the initial plan, readying it for the city’s adoption in 1968. This new, local plan for the city lead to nothing less than a revolution in urban planning. If you want to make life better for people, make the cities better for people. This new plan more fully integrated transportation planning and land use planning, as well as tying social welfare programs for some of the poorest residents to the development of the city. 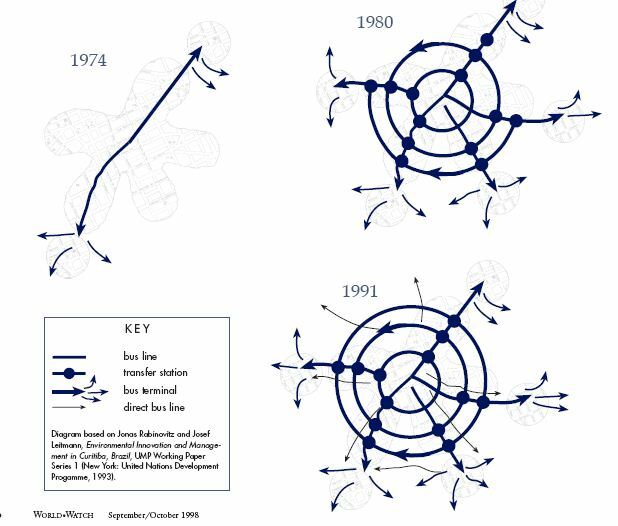 By 1974 the reorganization of the city’s road system into a new hierarchical network was implemented; this included the formation of a radically new road type — one whose central component is a mass transit spine. Unlike similar network systems in the United States and elsewhere, where the lead position in such a hierarchy is the limited-access Freeway, in Curtiba the position is held by the Sistema Trinário (or, Trinary Road System). These five trinary road corridors, radiating outward and encircling the city, are actually composed of three parallel road sections. The two outer roads are for local vehicles and pedestrians (serving as a paired one-way couplet) while the central road is a wider road section composed of two outer one-way streets and an inner two-directional street reserved exclusively for bus mass transit. The picture below shows the development surrounding the central spine road of one of the Trinary Road network. This full-integration of transit accommodations in the road design itself allows the buses running along the central spine to operate at a level of efficiency similar to that of rail transit. It’s asserted by proud Curitibanos that if you miss your bus, you have to wait all of 90-seconds to catch your next ride. In less than 20 years, this Trinary Road System, with its integrated Bus Rapid Transit System, was expanded to cover the entire city. Curitiba’s BRT was constructed at a cost of only $200,000 per kilometer, nearly 450-times less than the cost of a new subway, and it transports 2.3 million passengers a day, not bad for a city with a population of 1.75 million. With such success, Curitiba’s BRT system has heavily influenced the development of similar transit systems throughout the world. As part of the municipal plan, the city has pushed other sustainability efforts. These include a dramatic increase in the amount of green space per resident, and some innovative efforts like the “garbage that’s not garbage” program that trades fresh vegetables for trash brought in for recycling. Even Bill McKibben, the American environmentalist, has written about the environmental and social successes of Curitiba. Although the city has undergone quite a renaissance since the adoption of its own locally grown plan, there have been some recent setbacks. 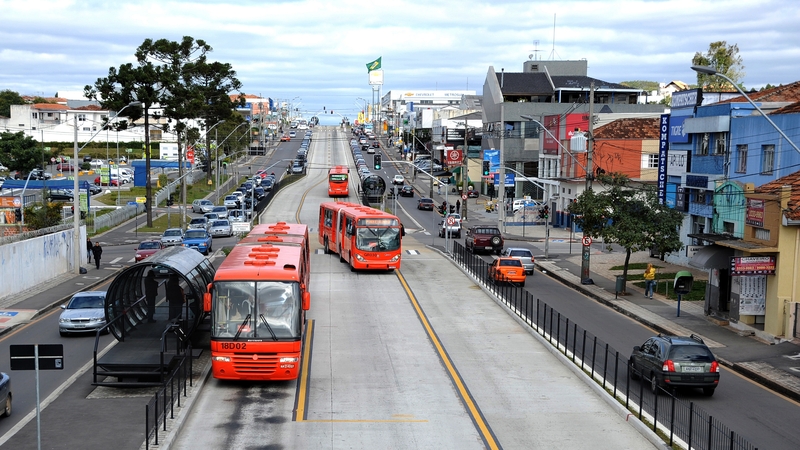 The Atlantic Cities blog recently published an article titled, Has South America’s Most Sustainable City Lost Its Edge?, which highlights a recent 4.3% decline in BRT ridership, and emerging failure to more fully integrate its suburbs into a more coherent regional plan. Stefan Gruber, the Austrian architecture and urbanism professor, has written that the city’s more paternalistic attitude towards its citizens (and resultant lack of democratic outreach) has hobbled the city’s ability to elicit a sense of civic responsibility among its residents. As American towns struggle to implement sustainability and livability measures, Curitiba’s frugal example of putting the needs of the people first in all its planning efforts is worth emulating. 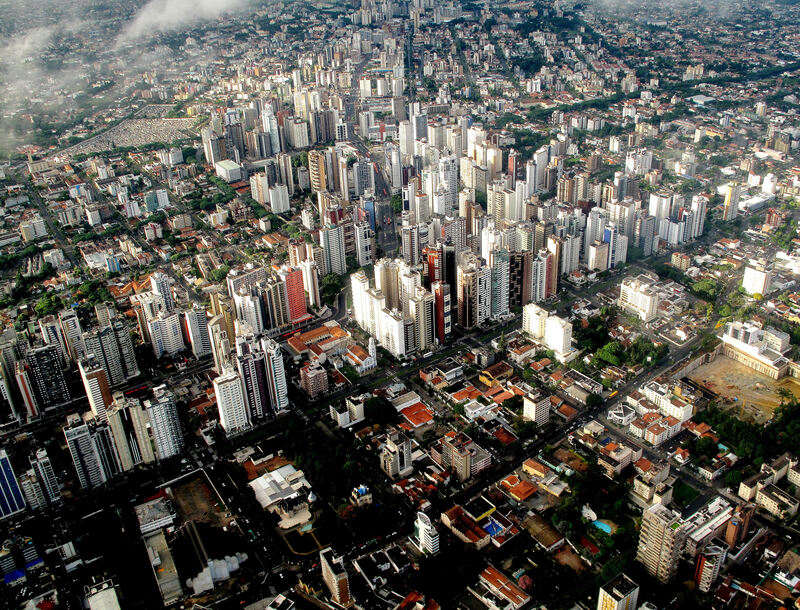 While the city does loose marks for its comparative lack of democratic input from its citizens (compared to other Brazilian cities), the IPPUC does engage in extensive outreach as it develops its plans (far more than most U.S. cities). From its focus on social, environmental, and transportation improvements — all through the lens of free enterprise (its BRT system runs with very minimal government subsidy) — Curitiba may provide the best example for growing towns throughout the American West. As I ponder the flooding throughout south Texas this season, I recollect a New Urbanist design competition I had the good fortune to help propose a while back. One specific focus for this proposal was to show the unique stormwater management benefits of truly traditional urban development patterns. In 2010 I was a member of an ad hoc design team backed by the environmental groups, Sea Grant Texas and the Texas Coastal Watershed Program. We pooled our resources in order to create a conceptual project for a design competition — for a piece of land in rural south Texas. Called the Low Impact Development Design Competition, it was sponsored by the Land / Water Sustainability Forum of Houston, Texas. The purpose of the competition was, “… to develop a residential neighborhood with the look and feel of a master planned community in a market area where no other community of that type currently exists.” — that is, a Greenfield development project. But, unique to this project was its requirement that all design proposals demonstrate a reduction in storm water run-off from the pre-development 5-year, 10-year, and 100-year storm event. A laudable goal, to be sure, especially in a part of the country racked with significant soil erosion during its frequent torrential downpours. Our team included a number of excellent designers, an out-standing civil engineer, and a number of urban activists. And yet, we knew we had no chance of winning the competition. Our conviction was so sure, we named our team (and our proposal) the Salon de Refusés — for we definitely felt our design was outside the bounds of the “Académie”. 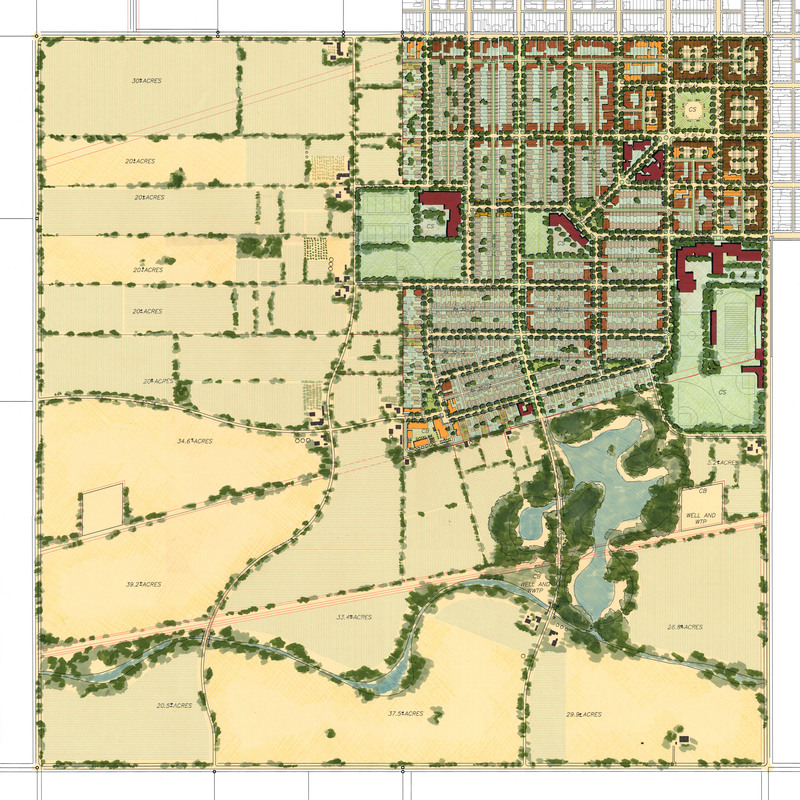 The competition organizer provided a set of plans for the proposed site; including the full 640 acre section’s plat survey, an earlier proposed Conventional Suburban Development (CSD) scheme, and a set of target housing typology criteria for the proposals. Interestingly enough, the organizer referred to their CSD concept as a Traditional Design — despite it presenting nearly every aspect of conventional suburbia, replete with embarrassingly low target parcel densities (with an average residential parcel density of 3.8 homes per acre). To put this figure in perspective, the average household density required to support a descent transit service is 7 homes per acre. To provide a little background on what CSD looks like, here’s a brief summary of the development type put together by the design firm Dover Kohl & Partners. 7. Strip shopping centers with big box retail and large parking lots between buildings and the street. One other aspect of the organizer’s site was its massive 142 acre dedication to the local school district, on which would be built a very large high school, equally large junior high, and an elementary school. Now, I’ve written before about the inherent problems associated with large-scale schools — and the type of urban pattern they induce. But, the Land / Water Sustainability Forum would not permit any competition entrants to propose any alternative use for that 142 site, let alone any alternative configuration for the schools. What we chose to design was contrary to almost every intent of the organizer. 1) We proposed a fundamental change to the proposed schools, 2) We proposed a housing typology that would actually support transit service, and 3) We proposed a pattern of development that was an integrated whole unto itself (without the dependencies typically demonstrated by conventional suburbia, i.e., bedroom communities). We took the 142 acre school site and proposed, instead, to build upon it an entire village. 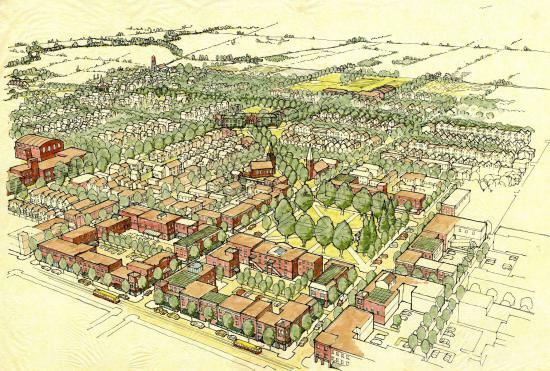 The village would not only still have a high school, junior high, and elementary school — but it would accommodate 1,480 homes (300 more than the organizer’s mandate) at an average density of 11.8 homes per acre. These homes would be built over a wide typology of forms (single-family detached homes, townhouses, and apartments). It also would have churches, a village square, pedestrian oriented commercial operations, even a grange for the local farmers and community members. 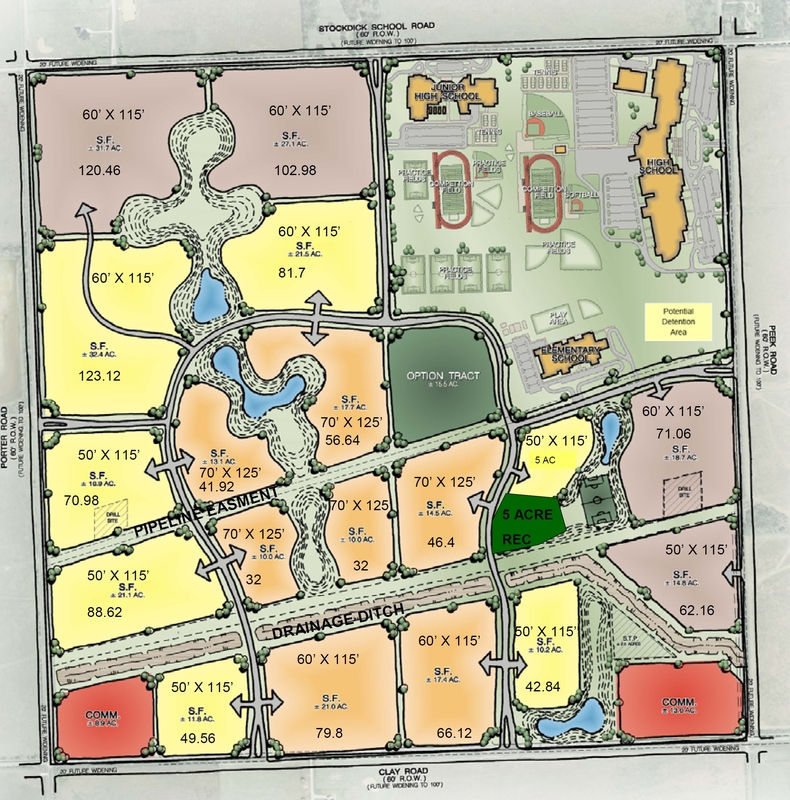 The remainder of the site would support nearly 500 acres of truck and hand farms that would grow a substantial amount of the food consumed within the village. And, oh, the entire site’s stormwater discharge (the Gold Standard for the competition’s selection panel) was zero. That’s right, not a single drop of stormwater would leave the site. This was not simply a reduction in discharge, as requested in the competition requirements, it completely eliminated all discharge. How was this possible? In addition to our greatly reduced footprint, all the streets in our design were to use pervious pavement which would allow a portion of the stormwater to infiltrate the ground — and all the street profiles included a landscaped shoulder swale that would simultaneously convey excess stormwater toward a recreated wetland (while cleaning the runoff via biofiltration) and permit further infiltration of the stormwater. And yet, as we suspected, our proposal was resoundingly rejected by the Sustainability Forum’s selection panel. Our goal had always been to start a conversation about appropriate urban forms, and place-specific design. We were able to touch upon a number of community design subjects even Sustainability experts tend to ignore — and do so within a forum in which these experts were to be gathered. In a way, this design competition became the perfect sounding board to critique a number of flaws that arise when organizations isolate their interests from each other. Not only did we have the opportunity to highlight these subjects within the confines of this small competition, we took the conversation to the national level. After the competition, we took our proposal and submitted it to the Congress for the New Urbanism (CNU) for review as part of its annual Charter Awards recognition process. Fortunately for our purposes, the CNU granted our proposal a national Charter Award for our design. We were able to take this award back to the Land / Water Sustainability Forum and its selection panel and re-engage in a substantive conversation about true sustainability. Only through continued effort, even in the face of detractors, will it be possible to change the world in a positive way. I hate to say it, but planning is so… well… boring. 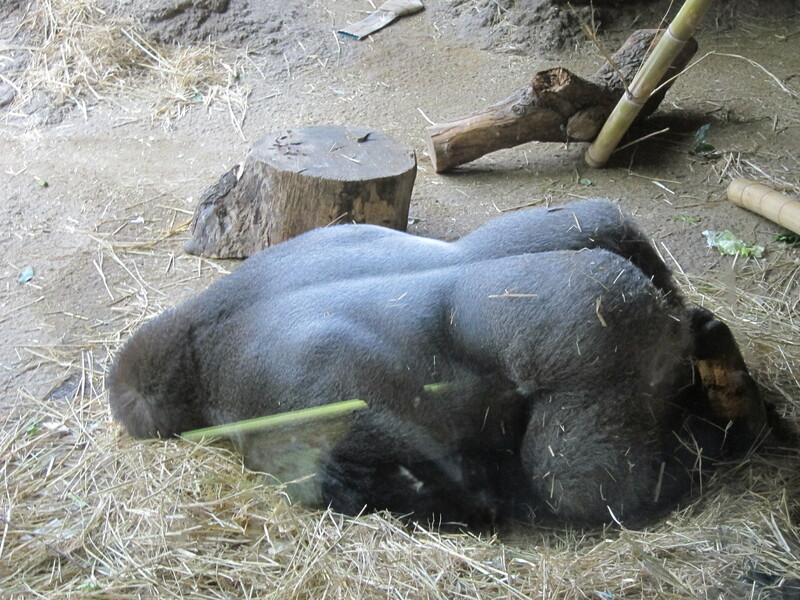 This isn’t to say planners themselves are boring people — though I’ve known a few who could put a meth-fueled gorilla to sleep with their talk of tax-increment financing and the fine points of inter-agency coordination. No, planning seems to have wrapped around it a cloak of social invisibility. Maybe this is due to a lack of perceived cool-ness by the glitterati, or an unwillingness among practitioners to engage in a bit of socially relevant boat-rocking — but regardless, the profession has all the avant garde qualities of a meatloaf dinner at grandma’s. Why can’t we be like architects? Architecture, as a profession, is a bit different. Architects carry a certain social cache — people lie about being architects. I don’t know anyone who lies about being a planner. Yet Architecture, perhaps because of its cool-ness, has a personality problem. 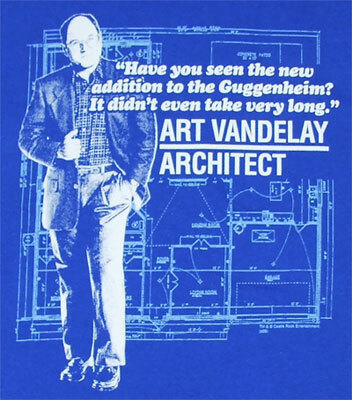 There’s a huge discrepancy between what actually goes on in an architecture firm, and what society thinks is going on. The public thinks most architects design beautiful buildings, have impeccable taste, live in gorgeous homes, travel to exotic locations, and make tremendous amounts of money (or, if they’re “poor” it’s because they’re choosing to suffer for their art). The reality is a quite a bit less glamorous; with careers choked with project schedules, pay applications, specification editing, and a myriad of management issues that leave most architects wishing they had switched majors when they were in undergraduate school. But… there is a certain amount of success that comes with perseverance, and those architects who do succeed feel a kind of cultural pressure to justify their success by sponsoring and supporting more socially relevant work. So we see efforts like Sam “Sambo” Mockbee’s Rural Studio at Auburn University’s School of Architecture. The Rural Studio dedicates itself to providing architecture students a hands-on working experience as they design and build community-oriented projects in several poor counties in rural Alabama. Also, there’s the DesignBuildBLUFF program at the University of Utah’s College of Architecture. DesignBuildBLUFF provides an opportunity for architecture students to design and build sustainable architecture on a Navajo reservation; with an eye towards graduating more compassionate architects. What we in the planning profession tend to lack are comparable outlets for our creative energies. Where are the university-based community-oriented efforts? Where are the connections to our under-served populations? Maybe this is why Tactical Urbanism is so popular in planning programs these days. Is it an effort to make planning as relevant as the planning students, and social activists, feel it should to be? And maybe… just maybe… worth lying about at a dinner party? B2. We shall not accept an assignment from a client or employer when the services to be performed involve conduct that we know to be illegal or in violation of these rules. B25. We shall neither deliberately, nor with reckless indifference, commit any wrongful act, whether or not specified in the Rules of Conduct, that reflects adversely on our professional fitness. But, for many reasons, it’s hard to draw equivalencies at the level of the profession between fully-supported academic programs like the Rural Studio and grassroots efforts like Tactical Urbanism. And, unfortunately for most planning students, such efforts are rarely led or initiated by professional planners. But here’s the point — do most of us really need lessons on being a decent human being? Isn’t planning, with all its homely charm, simply the act of being decent to each other? So yeah, I’m rockin’ the boring. Let me regale you with my ideas on tax revenue expenditures, on the finer points of public open space strategies, and the pernicious problems of urban sprawl. Let’s go seed bomb an abandoned lot, paint an “illegal” bike lane, and share our stories about how we protested outside a public hearing. Or while we’re working on the next bit of hacktivism with Code for America, building an app that’ll help kids catch their school bus or make it easier for folks to find the closest healthy food store, let’s discuss better ways to craft a long-range regional transportation plan. Maybe, we’ll push for broad municipal participatory budgeting, or work on a new mixed-use neighborhood plan. How you doin’… I’m a Planner. Just as every neighborhood should have a reliable fire station, every neighborhood should have a good public school. There has been a considerable amount of effort in recent years to build (or re-build) walkable neighborhoods. With professional organization like the Congress for the New Urbanism (CNU), the Urban Land Institute (ULI), the American Planning Association(APA), to the Lincoln Institute for Land Policy (LI) — all chiming in with their own advocacy efforts. Most of the purported reasons for making a community walkable deal with reducing the miles needing to be driven by the residents of any town. This could, in turn, reduce the outlay of public resources needing to be spent on motor vehicle ways, and the amount of money the typical household would have to spend on owning and maintaining their vehicles. These two effects (the ability to reduce demands on tax revenue, and an opportunity to increase an individual family’s net disposable income) speak directly to both conservative and liberal values. But, before we can draw any conclusions about the beneficial aspects of walkability we should look into our actual travel habits. This will help us to better understand the potential benefits of revising our public policies, by allowing us to focus our attention on the best avenues for improvement. The average American household, living in a single-family detached residence, makes just about 10 vehicle trips per day. And of all trips on public thoroughfares, only about 16-percent of them are work related (NHTS, 2009). The next largest percentage of trips are connected to getting kids to school or childcare (at ~10-percent) and shopping (primarily getting groceries) (at ~21-percent). In fact, there are more trips devoted to these latter two purposes than to all worked-related trips combined during any 24-hour period. Delving into these travel purposes a bit deeper, for the mandatory trips taken during the morning commute (equal to 80-percent of all vehicles on the road at that time) upwards of 19.5-percent are related to students driving themselves, or being driven to school. Let’s consider that figure for a moment — nearly a fifth of all peak morning mandatory traffic is related to kids getting to school. 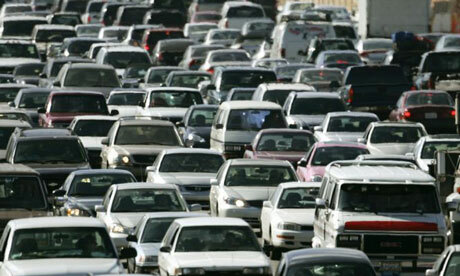 And, as we know, we design our roads to handle the peak traffic demands (not their 24-hour carrying capacity). 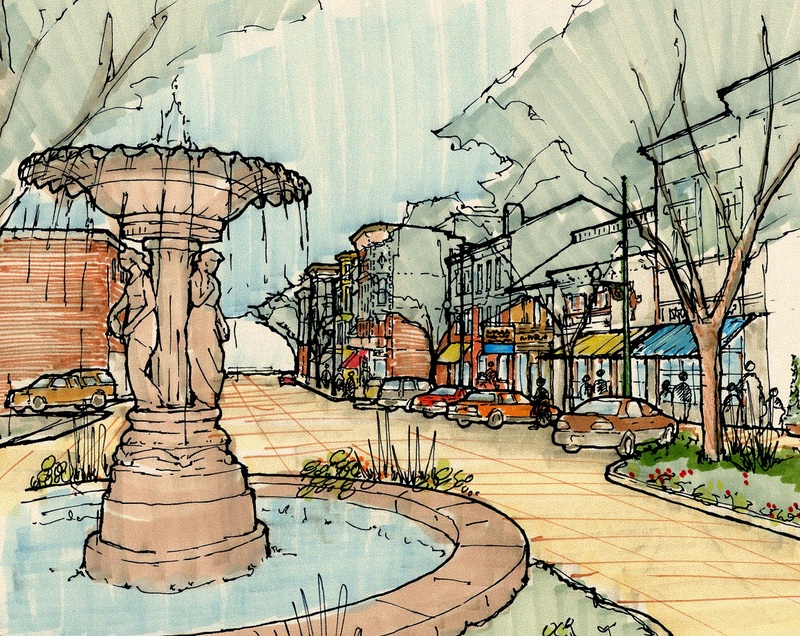 Why should we really want walkable communities? This brings us to the single greatest reason any community should adopt walkability standards — to make our public schools walkable AND the center of every walkable neighborhood. Unfortunately, the primary focus in most walkability publications has been on convincing the typical work commuter to either walk to their job, rather than drive — or take a bus to a centralized transit mall, then walk a short distance to their office. Even though the number of workers in a typical downtown’s central business district are nowhere near the total number of workers living in any one community. Most of these publications (and very few of the walkablity experts) have been looking at children’s travel habits — and very few analysts have been trying to understand the underlying reason why children have been walking (and biking) to schools less and less over the decades. 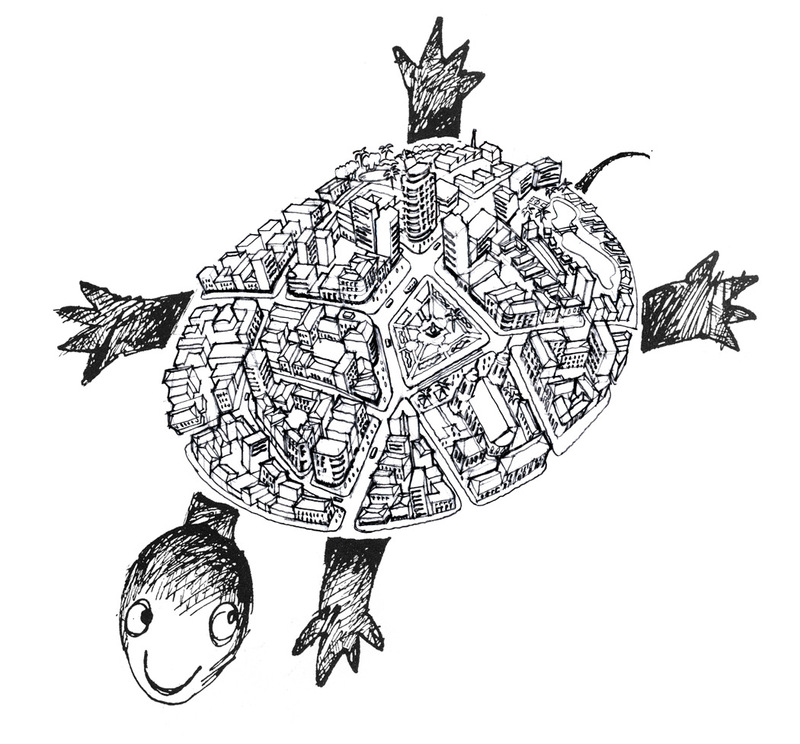 A notable exception has been the work of writers like Kaid Benfield with the Sustainable Cities Collective. 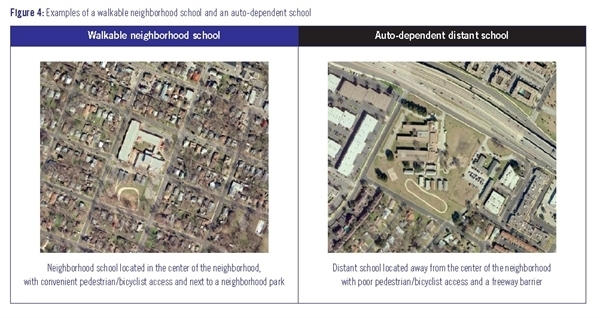 In a recent post, Benfield artfully parsed the reason why our American schools have become increasingly less walkable and more dependent on private automobile use. Such writings more accurately frame the dire situation facing parents and children these days. So, rather than placing blame on the purported, ever-increasingly sedentary American lifestyle we should be investigating how the average American school has become increasingly less walkable since the late 1960’s (when these statistics were first being tracked). As the typical American metropolitan area has grown less dense since WWII, the average American school district has adopted consolidation strategies, essentially super-sizing schools and their respective campuses. Since 1940 the average school in America has increased its enrollment by over 514% (Ehrich). This super-sizing effort has stripped the typical neighborhood of most school campuses, as school districts acquire outlying, inexpensive land to implement their larger consolidated programs. These massive school campus standards dwarf the campuses of yesteryear. As a result, families must either rely on buses, carpools, or personal vehicle to ferry their children to and from school. A startling statistic to keep in mind is that in 1969, approximately 41-percent of American students walked to school — but by 2001 that figured had dropped to less than 13-percent. Do we need neighborhood public schools? I believe we do. The neighborhood school is the place where parents meet to share concerns about their children and the place where they learn the practice of democracy. 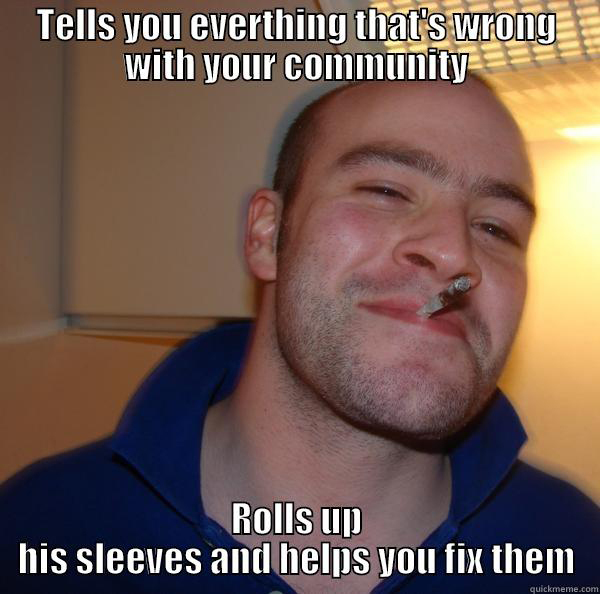 They create a sense of community among strangers. As we lose neighborhood public schools, we lose the one local institution where people congregate and mobilize to solve local problems, where individuals learn to speak up and debate and engage in democratic give-and-take with their neighbors. Dr. Diane Ravitch, the Research Professor for Education at New York University and the former Assistant Secretary of Education and Counselor to Secretary of Education in the George H.W. Bush administration, has been calling for the re-birth of the neighborhood school. She believes that every neighborhood should have at its heart a public school. What is a “right-sized” school? But let’s take a step back and ask what such a walkable school-centered neighborhood might look like. Since most studies indicate that the average person is willing to walk about five minutes to reach many of their trip destinations, it’s reasonable to consider a “walkable neighborhood” to be sized within a circumscribed area defined by a (roughly) quarter-mile radius — that is, a distance that the average person can walk in five minutes. This circumscribed area is also called a Pedestrian Shed. Although it would be unreasonable to claim that the center of that radius should be a magical job center that employs everyone that lives within that neighborhood, it is supremely reasonable to assert that an elementary school should rest at the center of every Pedestrian Shed. Why so? Using the Boise School District’s Student Generation Rate (the number of children expected to come from each average household) of .67 students/household, we would expect to see 13 students generated out of every 20 households. These students would fill the following categories: seven students in kindergarten thru 6th grades, three student in 7th thru 9th grades, and three students in 10th thru 12th grades. 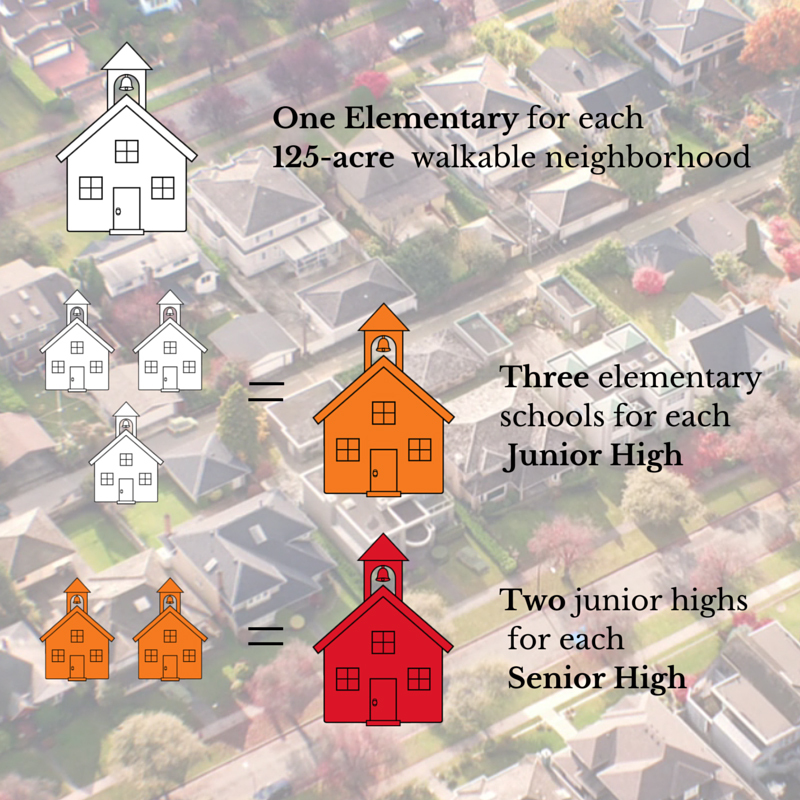 If an elementary school were placed at the center of a five-minute pedestrian shed (which covers about 125 acres) — and with a net residential density of approximately eight dwelling units per acre — there would be enough elementary school-aged children to fill one 200 to 250 student elementary school. Though this might sound like a much smaller school then we’re used to, it is right-sized to a walkable neighborhood — with one to two classrooms per grade. 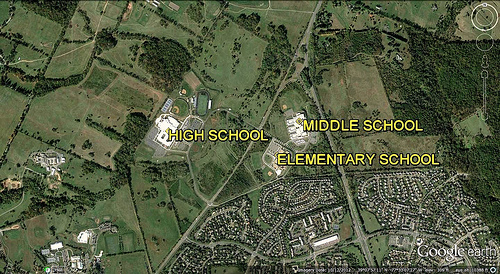 Three of these elementary schools feed into one right-sized junior high — with an enrollment of 600 to 750 students. While two of these junior highs feed into one right-sized senior high school — with an enrollment of between 1200 and 1500 students. Most important to these school metrics are their ability to form a central part of the lives of the residents in each neighborhood. Additionally, the campus sizes for these schools must also be right-sized. A walkable neighborhood’s elementary school’s campus would be no more than two city blocks in size – between four to five acres – which would be large enough for the school building, a neighborhood playground, and a small grass field. A right-sized junior high school’s campus size would be about four city blocks in size – between eight to ten acres – larger enough for the school building, and a running track & football field. And, a right-sized senior high school’s campus size would be approximately six city blocks in size – between twelve to fifteen acres – large enough for the school building, a running track/football field, and tennis courts or baseball field. One particularly helpful tool that communities and school districts can use to help assess their own policies in regard to walkable schools is Nathan Norris‘, Smart Growth Schools Report Card. This report card’s metrics rank communities along several dimensions and then applies an A-F grade for that community’s performance.